What’s on in Year 2 for Term 1? Welcome to Term 1. We hope everyone had a relaxing holiday and are now eager to be part of new and exciting challenges. The year has commenced with “Building our Classroom and School Community” activities and settling the students into a class routine. Our unit of inquiry for this term is titled ‘A Taste for Life.’ The students will be learning about food and our Year 2 Vegetable and Herb Garden. The Maths focus for Term 1 will include learning about counting and number patterns, ordering numbers, place value and addition and subtraction strategies. 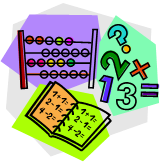 Other aspects of our Term 1 maths programs will include measurement of length and area and statistics and probability. In English we shall be writing recounts and procedural texts. Through explicit teaching and Literacy Centres children will focus on aspects of grammar, spelling and comprehension. For spelling we are continuing our whole school program called SMART Spelling. As part of our Reading Program the students will continue to bring home levelled reading books for parents to assist their children to read and comprehend. A reminder to parents that children should be reading for at least 15 minutes a day at home. Regular weekly homework will begin in Term 1. Students will be given their homework on Mondays and it is to be completed and handed in on Friday. We encourage parents to oversee both homework and the daily reading program. Please read the GPS online school newsletter which is published each week to ensure you are updated with all school events and important news.